Quail are a cute, quirky alternative poultry to raise on your homestead. If you have decided to raise quail on your homestead, the next step is to choose what type of quail to get. Generally, quail are divided into two different families: New World (also known as Odontophoridae) and Old World, which are technically part of the pheasant family Phasianidae. The two are distantly related and share many physiological characteristics and uses, which is why they are both called quail. There are two main species of quail that homesteaders are likely to get: the New World northern bobwhite quail (Colinus virginianus) and Old World Coturnix, or Japanese, quail (Coturnix japonica). Within each of these species, there are several varieties that have been bred for specific colors and characteristics. While different varieties within the species of quail can cross breed, different species cannot. M Segrist, owner at WoodBottom Quail Farms in Bethel, Ohio, said to think of the different varieties of quail within a species like the different breeds of dogs. They look slightly different, but they are all ultimately the same species, whether they are a poodle or a beagle. “They’re all dogs, but you have the different varieties,” Segrist explained. Coturnix quail are a small birds, between the size of a songbird and a crow, with a stout frame and mottled brown, white and gray feathers. 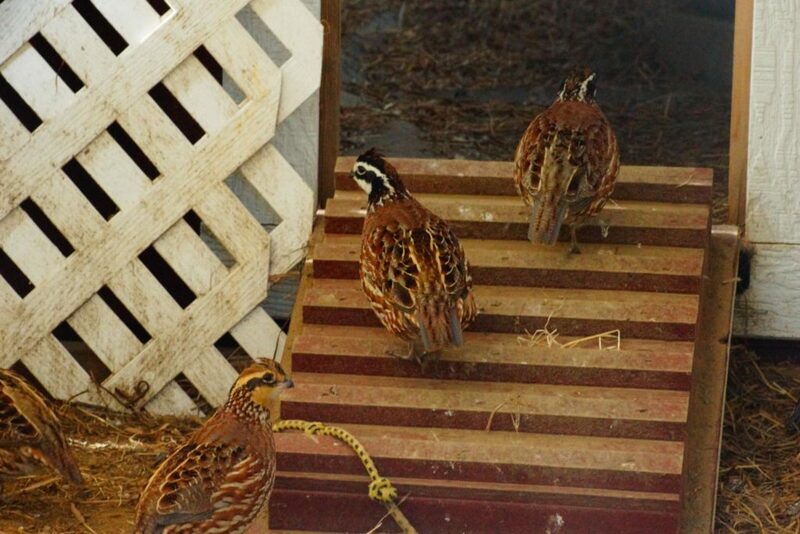 It is a popular species for small farmers and homesteaders who are looking to raise quail for meat and eggs. The quail cannot fly more than a few inches off the ground and cannot be released into the wild, as they are not native to the United States. Because they do not fly, coturnix generally are not used to train hunting dogs, though they can be used to help puppies practice. Varieties of coturnix quail include British Range, Tuxedo, English White, Manchurian Golden, Texas A&M and Pharaoh. The varieties are generally distinguished by feather color, though some of them do have slight physiological differences. The Pharaoh, for example, is an exceptional layer, producing about 300 eggs a year. Segrist said the Texas A&M, which was created by the university of the same name, were bred to be bigger to provide more, lighter meat that is easier to dress. 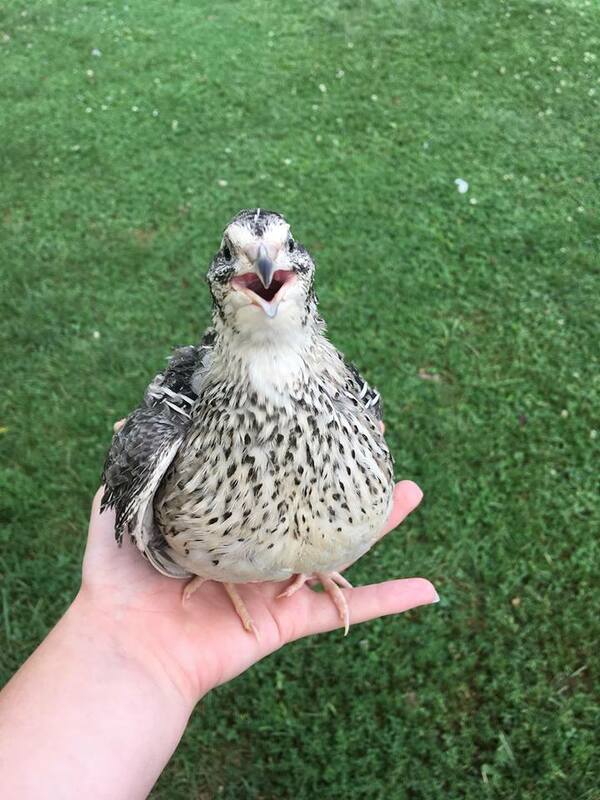 Jenna Greene, owner of Myshire Farm in Miamisburg, Ohio, recommended the Jumbo Brown breed of coturnix quail for homesteaders looking to raise birds for meat. Bobwhite quail are about the same size as coturnix quail, though they tend to have markings on their faces that look like eyeliner. They also have a distinctive call that sweeps upwards in pitch and almost sounds like the bird is saying “bob-white.” Bobwhite quail are generally preferred for sport, like training dogs to hunt. Because of this, the space that you have available for your quail might be a consideration when choosing the type you want for your homestead. Bobwhite quail can also be used for meat and eggs, but they take longer to mature than the coturnix. Still, there are some advantages to raising bobwhites instead of coturnix for meat and eggs. Bobwhite quail will incubate their own eggs which could be preferable for homesteaders looking to expand their quail population without going through the cost and trouble of learning the skills to properly incubate eggs. Bobwhite quail can be divided into about 22 varieties that mostly vary by color, but some of them have been selectively bred to be more aggressive than others for hunting purposes. “There are strains of bobwhite quail raised specifically for release in hunting preserves that have been selected to remain wild,” Jacob explained. The Tennessee Red bobwhite, for example, is extremely aggressive and cannot be kept with other birds. There are a few other more expensive and exotic quail species that homesteaders may raise for purposes other than meat, eggs or hunting. These quail are prized for their unique looks and are often kept in aviaries, as pets or for show, such as the elegant quail (Callipepla douglasii) with its rusty headdress, the slightly-periwinkle mountain quail (Oreortyx pictus) and the distinctly spotted Montezuma quail (Cyrtonyx montezumae). The California valley quail (Callipepla californica) are best distinguished by the curled plume sprouting from their heads. The gray and speckled birds are more expensive than standard bobwhite or coturnix quail and are thus mostly kept as pets. The button quail (Coturnix chinensis), which comes in a number of different colors like silver, white and even blue-faced, is another such novelty quail that owners often keep in apiaries. What is a lash egg?